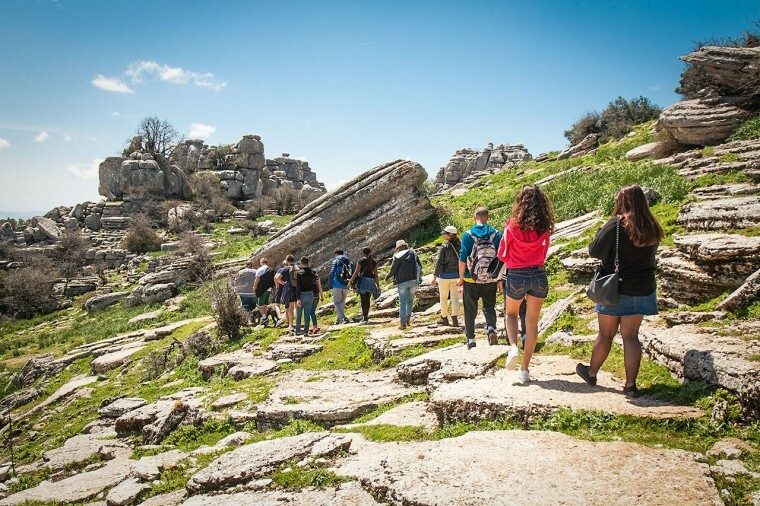 Last Friday, April 15, 2016, MIUC students and staff enjoyed a day off campus with an excursion to El Torcal de Antequera. 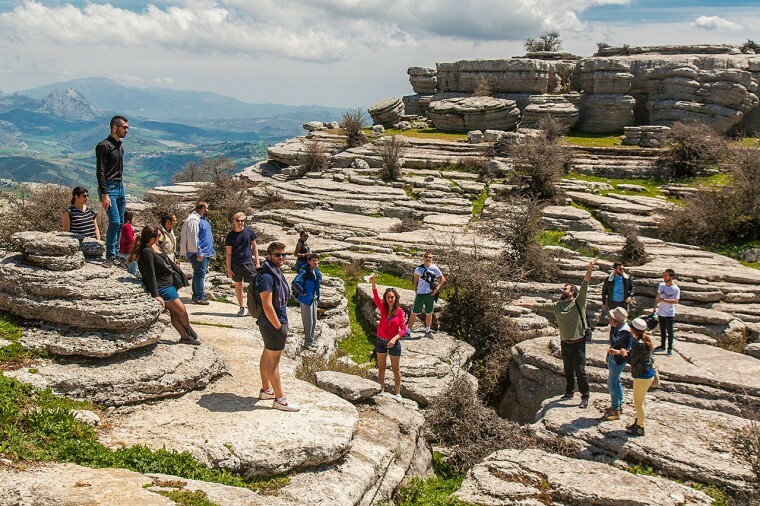 This beautiful nature reserve is located in the Sierra del Torcal mountain south of Antequera, Málaga. It is a small mountain range which has four geological sections: Sierra Pelada, Torcal Alto, Torcal Bajo and Tajos and Laderas. 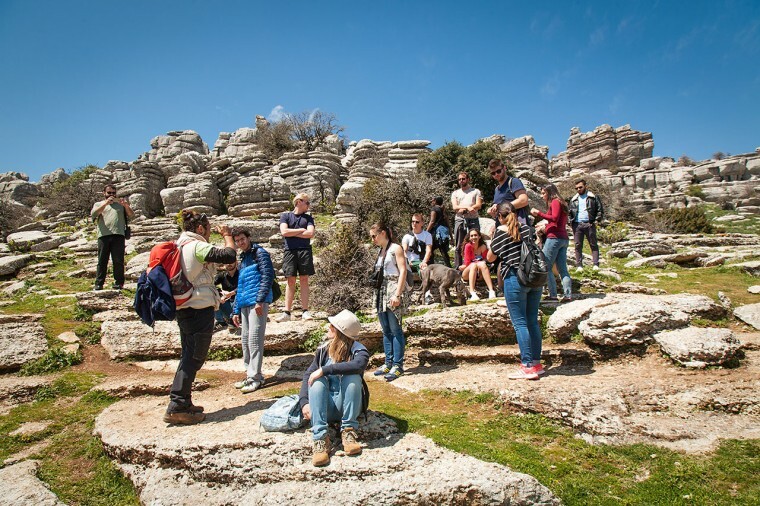 Our hardy students and staff walked, hiked and climbed to the highest point, the Camorro de las Siete Mesas (1336 m), in the Torcal Alto range. El Torcal also offers an impressive array of wildflowers, including lilies, grape hyacinths, red peonies, wild rose trees and thirty varieties of orchid. The many species of reptiles include the Montpelier Snake and Eyed Lizard, both endemic to El Torcal. Other species includes the Griffon vulture, the Spanish Ibex (Andalusian mountain goat), and nocturnal mammals such as badgers, weasels and rodents. A huge vote of thanks to our guide Jose, who kept us entranced with his colourful descriptions of it all.